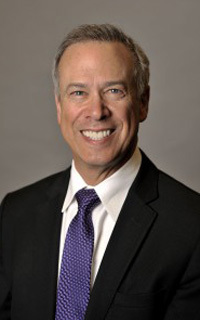 Dr. Weintraub is a board-certified Orthopedic Surgeon and has been in practice in Oregon since 1981. His practice today is general orthopedics with a strong focus in joint replacement and adult reconstructive surgery. Dr. Weintraub graduated from the Indiana University School of Medicine in 1976. After completing his internship at Oregon Health & Science University in 1977, Dr.Weintraub performed his residency in New Orleans at Louisiana State University between 1977 and 1981. Dr. Weintraub has worked with the Volunteer Coalition of Community Clinics for more than 20 years and has a long history as a task force and committee member at Legacy Good Samaritan Hospital in Portland. He is the Physician leader for Legacy Good Samaritan Total Joint Center and has served as the Chairman of Orthopedics for over ten years. He spends free with his family including his grandchildren and is an avid golfer.